LO for one of the Grandchildren. I was going for a woodsy look. Background paper is Echo Park. What a wonderful page!! So festive! 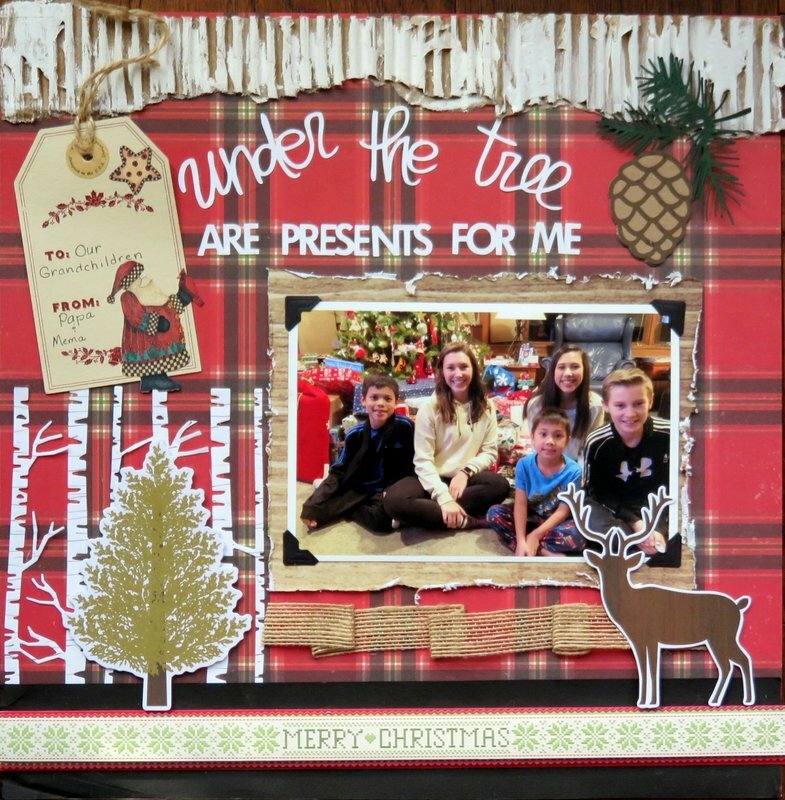 Love the cardboard frosted at the top, the woodsy die cuts, adding a perfect photo...this comes together so nicely! Great layout! Love the embellies! 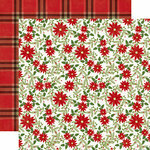 Really like the Northwoods theme with the plaid, snow, trees, etc. Great LO!!! Love that top border with the corrugated board.....lovely touch. I also love those birch trees. I always loved birch trees and grew up where they grew and we had three in our yard. I love the entire page it's really pretty and all of your dies are delightful. I love your woodsy look! Love the plaid and the corrugated paper too! Gorgeous! Straight to my faves! Great layout and photo! Love the plaid background, corrugated paper and the deer! Pretty. Love the corrugated paper and the die cuts! I love this, especially the title and the corrugated paper at the top. Sweet family photo and and die cuts! This is awesome! Love the trim along the top, the plaid bg and use of 2 different fonts in the title. And of coarse a great pic of all your grands together! Oh my goodness, I love love love the added texture!!! What a beautiful and creative lo!!!! The elements on this are terrific! The corrugated border at the top really adds to you woodsy look~!